Posted October 10, 2017 8:40 am & filed under Berkeley Gardens, Berkeley Succulents. 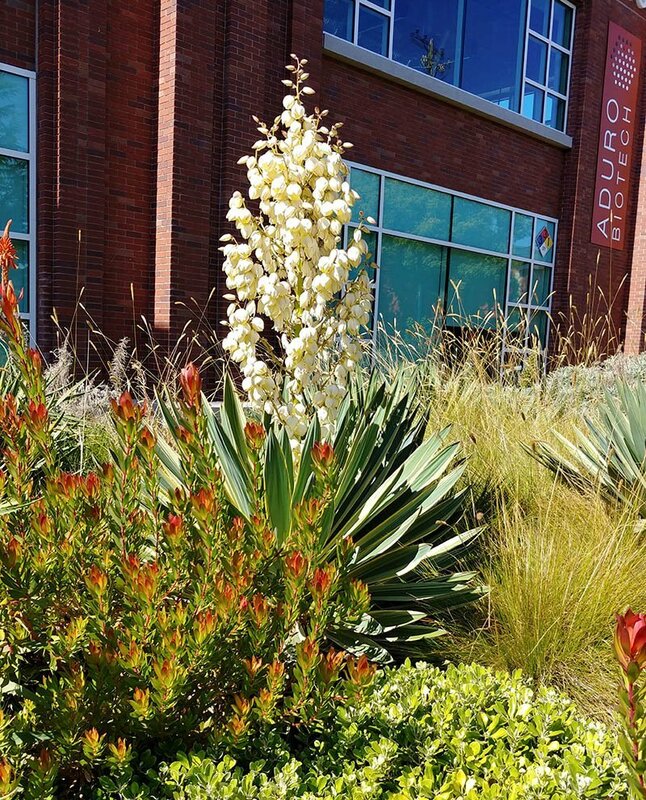 A nicely blooming Yucca in the Aquatic Park Gardens with a beautiful red Leucadendron in front. Sweet!